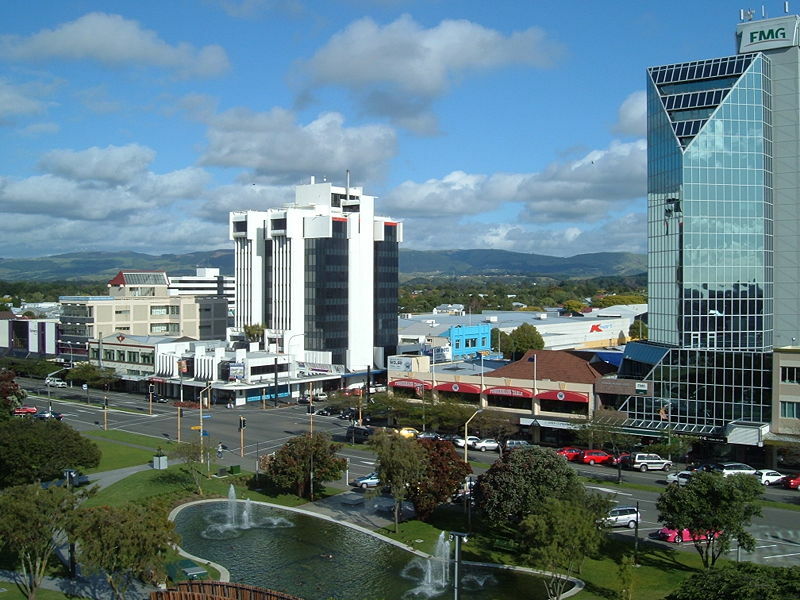 Palmerston North (Māori: Te Papa-i-oea) (Pop: 80,700) is the main city of the Manawatu-Wanganui region. 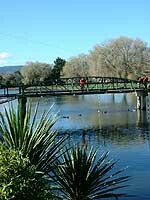 It is an inland city being the 11th-largest city in New Zealand, and the centre of the seventh-largest urban area. Due to its central location in the sprawling Manawatu region, Palmerston North the focal point for a number of major routes; south to Wellington, north to Taupo and Auckland, southeast to Napier and northwest to New Plymouth. A large proportion of its population consists of students attending Massey University, Universal College of Learning (UCOL) or International Pacific College during the student year. Over half of the city's population is under the age of 25 and the city has been marketed as 'Student City'. A pleasant tree-lined city, the crossroads of the Manawatu, with many education and research institutions in the area, in particular Massey University. The city's main streets are arranged in a grid around The Square, a seven-hectare park of lawn, trees, lakes, fountains, and gardens in the centre of the city. This park contains the city's war memorial, a memorial to Te Peeti Te Awe Awe, the Rangitāne chief who was instrumental in the sale of Palmerston North district to the government in 1865. The International Pacific College, a private tertiary institution set up by a Japanese foundation, lies on the outskirts. Bledisloe Park and Pohangina Domain (32km) have native bush walks, swimming and picnicking. In The Square can be found the Info Centre, the Hopwood Clock Tower, gardens and fountains. The Manawatu Art Gallery, the Science Centre and Manawatu Museum are located on Main Street West. History is found on Heritage Trails and in several specialist museums. Activities include trout fishing and jet boating on the river, horse trekking, or camping and tramping in the Ruahine and Tararua Ranges. The International Rose Trial Grounds are at The Esplanade Gardens, which also has picnic sites. Palmerston North is a major hub for coach and bus services operating to and from Palmerston and Air New Zealand Link air services to Christchurch, Wellington, Nelson, Rotorua, Hamilton and Auckland. There are no passenger train or rail services from Palmerston North to Napier, Hastings, Whanganui, Taupo, Rotorua, Tauranga or New Plymouth.